The predominant issue arising from the proposed Qld Greentape reduction legislation was a roller coasting blame game between the Deputy Premier Jeff Seeney and the Federal Environment Minister Tony Burke over Alpha Coal. This week’s Sustainable Business Weekly focuses on proposed changes to the Environmental impact assessment processes. Earlier this week the blame game escalated between the Qld Premier and Federal Minister Tony Burke over the approval of Hancock Coal’s Alpha Coal Mine. By the end of the week, the Deputy Premier was claiming to have reached consensus. Chris McGrath, a Senior Lecturer at University of Queensland observed that by the new Queensland Premier and Deputy Premier do not seem to understand their own State Government approval processes. The Queensland Premier and Deputy Premier are suggested in their initial media statements that the mine is approved at a state level and that the Commonwealth approval under the Environment Protection and Biodiversity Conservation Act 1999 (Cth) (EPBC Act) is all that is required for the mine to proceed. Those suggestions turned out to be wrong and the state level approvals of the mine are probably 12-18 months away, which makes the pressure being placed on the Commonwealth Minister to make a decision within 30 days and claims of Commonwealth “green-tape” holding up the project simply false. At a state level the Coordinator-General’s report was released on 29 May 2012 recommending that the mine be approved subject to conditions. 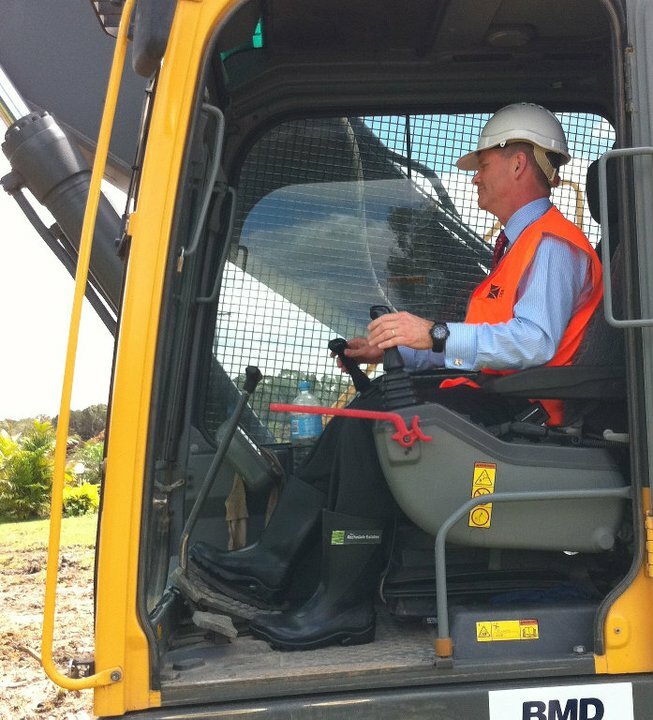 The Coordinator-General is a powerful bureaucrat appointed under Queensland legislation to facilitate large-scale developments in the state. Alpha Coal Project given go-ahead. The Newman Government has given the green light to what will be one of Australia’s biggest mines, the $6.4 billion Alpha Coal Project in Queensland’s Galilee Basin. Queensland’s Coordinator-General has provided conditional approval for the mine – the first in the untapped coal rich Galilee Basin. Well, let’s be very clear. The approval that the Queensland Government has granted is for the mine at Alpha and for a railway line down to the coast at Abbot Point and the rail loop but not the port itself. What we want to know is: will the Minister approve the project in the 30 day period provided for under the Environmental Protection and Biodiversity Conservation Act of the federal government? That’s all the Minister has to do. Approve the project subject to conditions. Let’s get the jobs for Queensland and Australia and get on with it. The Deputy Premier and Premier were fundamentally mistaken about the approval process because the Coordinator-General’s report does not decide whether the project is approved at a state level (although in practice it is a big step towards the approvals being granted). “Queensland today provided a detailed response to the Federal Environment Minister on matters he has raised over the past week in relation to the Alpha Coal project’s conditional approval. It was also agreed that there was a different understanding and interpretation of the current bilateral environmental approval process between the parties. There is a joint commitment to the future of the bilateral agreement and Queensland will respond within the next ten days to the Commonwealth’s notice that it may suspend the bilateral approvals process. Queensland’s New Environment Minister does not believe in anthropogenic climate change! Queensland's environment minister has confirmed he doubts the role of humans in causing climate change, but says he believes society should act to curb pollution and find renewable power sources. Premier Campbell Newman backed his minister, Andrew Powell, saying it was “refreshing” to have someone in charge of the portfolio who was prepared to tell the truth. Mr Powell also confirmed his doubts about the degree to which humans were influencing climate change, after he made comments to that effect on ABC Radio this week. “Is the climate changing? Yes it is,” Mr Powell told reporters during a media conference. “Am I 100 per cent convinced of the human population's role in that? No I'm not.